On average over 1,200 bookings are made in our lovely parks each year. These can range from small events such as wedding and naming ceremonies, charity walks, fundraisers and private functions, through to larger parades, memorial services, and a whole range of other events including community sports, arts, culture, dance, song, and music. Events are approved under the Use of Open Space Policy. The number of events held on The Strand is capped by management to ensure the amenity values of The Strand are not depleted through excessive usage. Queens Gardens: Raintree Lawn, Maze Lawn, Frangipani Lawn, Rainforest Lawn. Palmetum: Tokuyama Garden Summerhouse, Rainforest gardens and other locations within. Anderson Gardens: Cape York Peninsula collection, Wedding Island and many other locations within. Riverside Gardens: Select locations surrounding the community centre. Many other locations may be available on request. Here's some useful information about booking your event with us. NO booking is confirmed until you have signed and returned the Event Agreement and paid the required hire fee and/or security deposits. Key Deposits - will be required where a key is to be issued. Damage Deposits – may be required for specific events. Cancellations – You may cancel the booking by giving us at least 5 business days notice. Failure to do this may result in forfeiture of monies paid. You can use portable, self-supporting marquees and shelters as long as they're anchored above ground. Please leave the area in a clean and tidy condition after use. No fires are to be lit within the parklands (this includes tiki torches and tea light candles etc.). To enquire about booking a space for your ceremony please complete this form and our team will get back to you within 5 business days. Our events form is currently undergoing redevelopment. 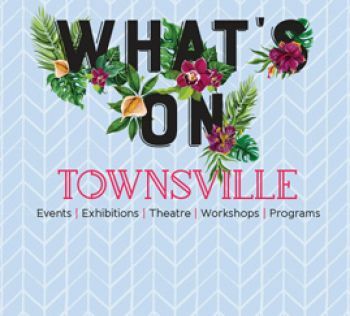 For enquiries about events in our open spaces, please contact us at 13 48 10 or email venues@townsville.qld.gov.au.